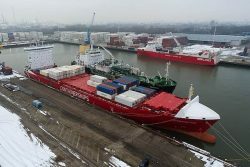 Containerships, a full-service logistics company, has reported its first LNG-fuelled container vessel, M/S Containerships Nord, successfully underwent her first Marine LNG bunkering at the Port of Rotterdam on 24th of January. Containerships was the first container shipping line in Europe to perform ship-to-ship bunkering with LNG. The first bunkering was carried out via a ship-to-ship LNG bunkering operation from Shell’s Bunker Vessel, the Cardissa. Future bunkering will be carried out simultaneously with loading and discharging operations. This means no disadvantages in operative efficiency will occur compared to traditional oil burning vessels. After receiving the next two newbuilds, Containerships can start offering its customers a service based on LNG. 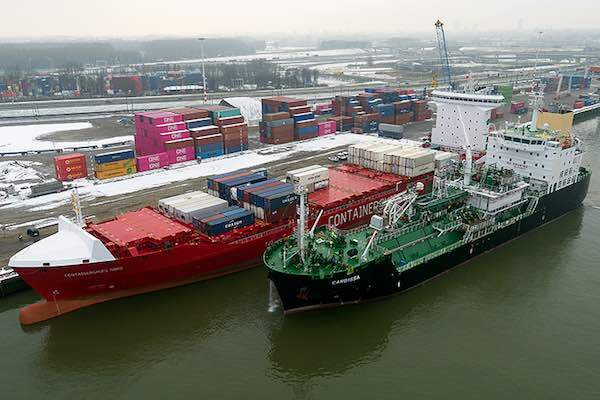 These vessels have endurance of 14 days with LNG, and they will be bunkered once per roundtrip during their regular service loop between Containerships’ core ports in the North and Baltic Seas.